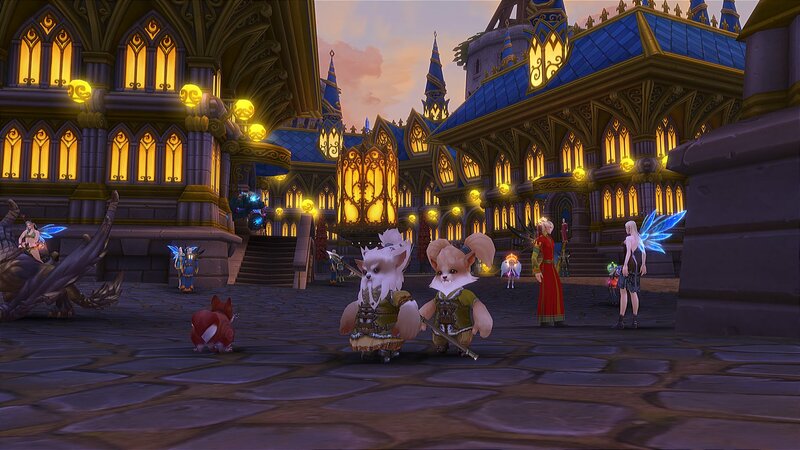 Posted in: Allods, Evaluations, MMOs, Opinion. I played Allods back in 2011 when gPotato had it, and it was pretty clunky. Since then it has gotten much better. It no longer feels clunky. Let’s talk about the good news first. Here is an album of recent pictures from the game. There is an interesting race that is unlike anything I’ve seen in other games. The Gibberlings are three characters, which you can design individually as you create them. But they act as one in the world. 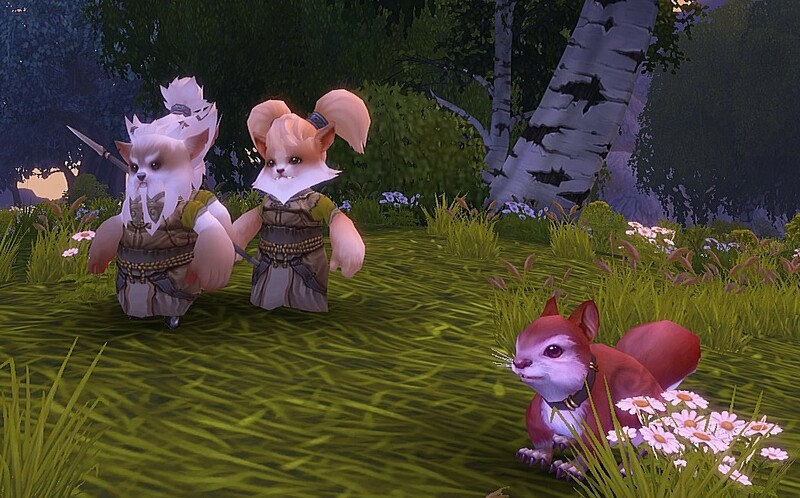 Here is a Gibberling family which are druids, with their pet squirrel. The graphics look better than Wow – at least better than the historic places of Wow. The character models are better than the old Wow models, but not as good as the new Wow character models. But Wow has not updated their older areas so they look very primitive. Allods looks pretty good, not great like Tera, but better than Wow’s older areas everywhere. The character models lack any sort of facial animation or motion. So while they look good, they are just pictures of faces rather than animated avatars. Tera animates the faces to some extent, so that if you watch a face up close in the resting animation, the character’s face moves and the eyes look around. Wow has gone quite far with their facial animations in the new models and is much better. 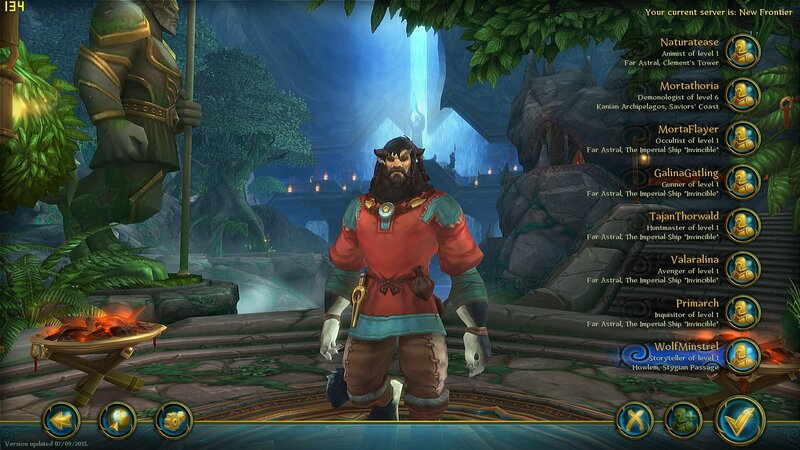 So, Allods has better, for the most part, world graphics than Wow, but not quite as good Character graphics. This is to be expected. I was quite surprised to find that Allods can be played on a 56K modem. And it’s installed size is less than 10GB. Compare this with Wow at over 40GB and Tera at about 40GB. Allods combat is more like Wow than like Tera. In Allods you pick your target and then you bang skill buttons until they are dead. In Tera you look in the direction of your target or targets and do skills. Most skills in Tera are AOE and almost no skills in Allods are AOE. In this regard Allods is more like Wow. Frankly, the long cool-down timers on skills slows the game down quite a bit. Perhaps this allows it to work on a 56K modem. Coming from a country, Russia, where dialup internet may be the norm, this may be a necessary tradeoff. Mercenaries are a way to “purchase” for cheap in-game currency, a set of players to help you solo a dungeon, or add to your party if you are lite on players. This is a great feature. Here we are taking down a boss in the first League dungeon with just me and five Mercenaries. This is a great feature to allow a game to get started with a small population of users, or like the case of Tera, to allow players to do lower level content when all the players are far higher doing the fancy new Dungeons. Perhaps the Mercenaries are not the most powerful players in the game. But they are quite effective in allowing a player to solo a dungeon when no party members are available. When you “Hire” mercenaries, you pay a modest amount for each one, and they materialize at your same level, so if you are level 11 doing a level 9 Dungeon, you have a team of level 11s as you play. I have nothing against being social and playing with folks when they are available. But in Tera I find two problems that Mercenaries would solve. (1) There are no, or not enough, players that want to do a dungeon when I do. (2) The folks doing the dungeon just want to rush through it and don’t do it correctly for me to finish the story quests in the dungeon. This is very frustrating since it means that to finish the story quests, you have to repeat the whole dungeon. Mercenaries solve this problem, since they don’t run off and kill that boss out of order that messes up the story line. 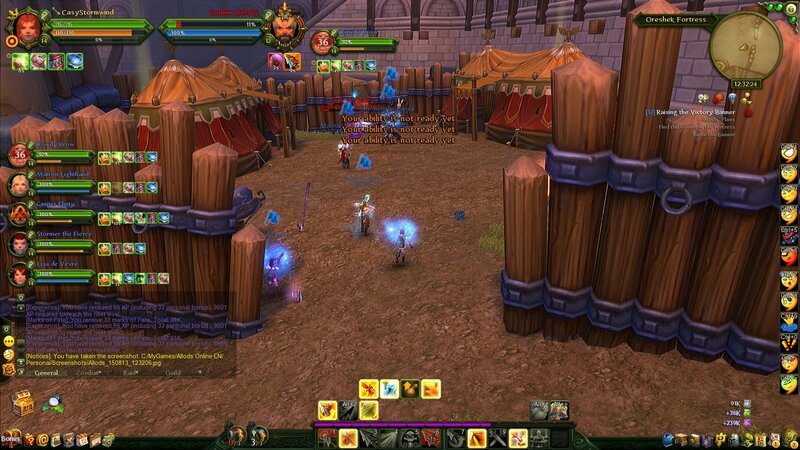 Back in 2011, the mechanics of questing required lots of clicking. This has been fixed. Largely, you can hit the Z key to accept quests and loot kills. But you still have to click to accept and complete quests and loot in dungeons- oddly enough. Allods has two factions, like Wow. The Empire and the League. The Pridens, a lion like race, is much like the Pandarens of Wow in that they have a neutral starting area and choose their faction later. The two faction starting areas are oddly different. The Empire starting area is a short instance area and a short public area where players that are both starting can party up for a few quests. The League starting area has a short instance area and then a much longer – in terms of the number of quests – party starting area. But both areas leave you at about level 7 or 8 when you move on to the public Faction city. This is where things between the factions is even more striking. The Empire faction quests in the city of Nezrebgrad are myriad and run you all over the place. You do dozens of quests for very little Exp and the leveling before you can leave the city seems like it will go on forever. The League city of Novograd is much smaller and you soon leave to adventure in the forests outside the city. The League quest chains are better designed with less running around. The whole running around bit is mitigated by there being portals that, for no cost, transport you around the zone. These portals even work with AutoRouting which is a life saver when it comes to finding the place of the next quest. Mounts are essential to the game, but one of it’s key downsides as well. Each faction gets a quest at about level 11 to get a temporary mount. This mount lasts for about 2 hours of actual ride time, which is actually quite long, and runs quite fast. But the problem is that it does run out. Mounts, as far as I can tell, must be purchased. However the only mounts I saw for sale are pretty clunky. Folks were riding lots of exotic mounts, but I could never find out where they came from. Maybe they only show you certain mounts in the store based on your level, which seems very odd. 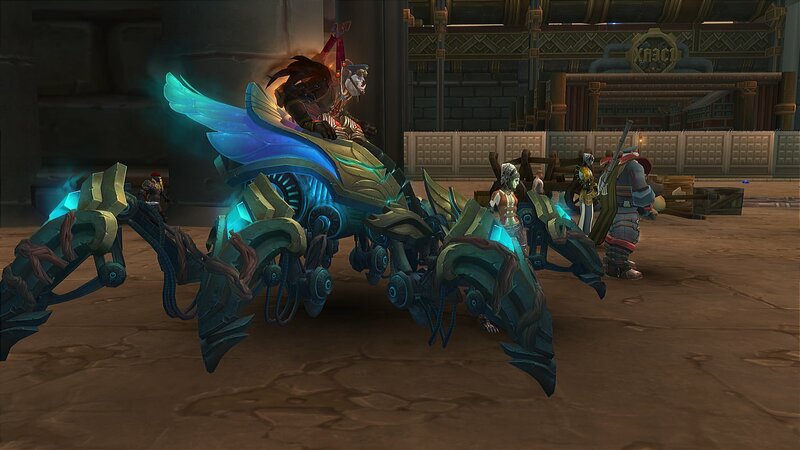 Anyway, it’s clear that there are many very fancy mounts in the game. However, mounts, again as far as I can tell, must be purchased. Mounts start at about $1, which is not too bad. But mounts must be fed. 50 bags of feed, which last about 30 min of ride time per bag to start cost about $1. So if you have a stable of 8 characters [ the max as far as I can tell] then it costs about $16 to get everyone started with a mount. And you probably should go ahead and do this in the starting area. All well and good so far. But this points out that this is not a free to play game. Allods is a Pay to Play game. And this is where I fall out of love with the game. If you pay more, you play Allods better and more effectively. You have to pay for Mounts and Feed to move about the game at higher speed and as your mount levels up to move faster, you have to feed it more and more. To become more powerful in the game, you install Runes. You have to pay for Incense to install Runes in your character or to combine them. I did a quest to do that once, but I was never able to repeat the process without the quest and I wasn’t able to find the quest. So runes are a fail for me. Once you know how to use them they probably don’t cost that much, but it’s hard to figure out how to use them or even find the quest to get them going. You have to pay for stuff to remove the curses from items you pick up in the world so you can use them. I’m not sure how prevalent these cursed items are. I’ve not seen any in the wild, but if they are frequent, then it’s yet another real money sink. Not game currency. Clearly the publisher’s economic model is to nickel and dime the players to death as they play the game. And I’m not buying into that. I like to play lots of characters for the variety, and the cost of playing is based on the number of characters you have, not the time you play. Many of the items you purchase, or obtain as freebees, “disappear in 30 days”. What’s up with that? If I have lots of characters, I may not get back around to playing that particular toon for 30 days while I play the game with other toons. 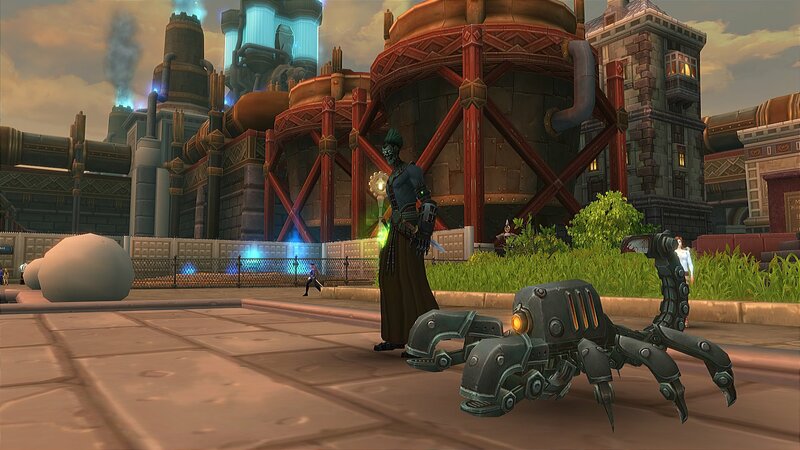 And that mount feed I just bought today will disappear if I don’t manage my time on that toon. Forget it. I’ve played Allods for a couple of weeks. I’ve seen all the races and classes. While the game looks interesting to play, the Economics of “Pay to Play” is a non-starter for me. I don’t mind paying to support a game. But I don’t want to be forced to pay on their schedule. I no longer play Wow, because I don’t want to pay a subscription. However, I am happy to pay to buy Guild Wars 2, and then pay occasionally for upgrades to the bank or purchase additional character slots or costumes or whatever. No purchases in GW2 really effect gameplay. 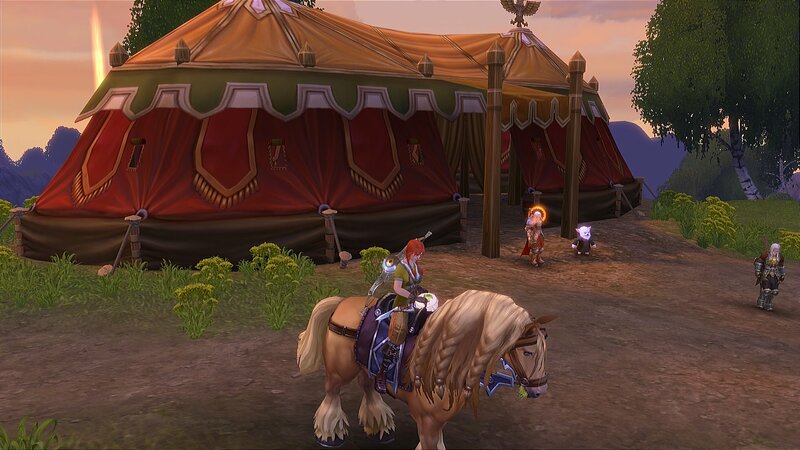 I’m happy to pay occasionally in Tera for Costumes, or Mounts or other extras. But there are no continuing costs in Tera. Mounts in Tera don’t need to be fed, and paying more only buys EXP boosters, not Power boosters. You don’t need to pay in Tera to use your Crystals. So I’m giving Allods a Pass, again. Maybe another North America publisher will pick it up and change the Economics and I’ll go back to it. Except for minor issues like Rune confusion, the game is pretty nice, but the economics don’t fit my lifestyle. gPotato dropped the game a while ago, probably for economic reasons. I found that the game did not really seem that crowded. I’ll go back to Tera where the combat is a lot more engaging and the Economics are a better fit for my lifestyle.